“Abeg, you cannot come and fix a programme that will start at 8 am on a Saturday morning, I will not be able to attend, please postpone it for another day or cancel it” responded Ijiwere to her colleagues, who wanted to visit another friend; “Let me tell you, If you want me to come for that ‘owambe’ party on Saturday, then you should let it start at 10 am” affirmed Giringori, to his friends who were planning an event for Saturday. “Imagine, those my friend wanted to suggest 8 am as a time for that party, I totally disagreed, and told them Jigida will be aired on radio at that time, and that is the only way I can report the lack of water in Kagara” said Giringori to his elder brother – Ijiwere. 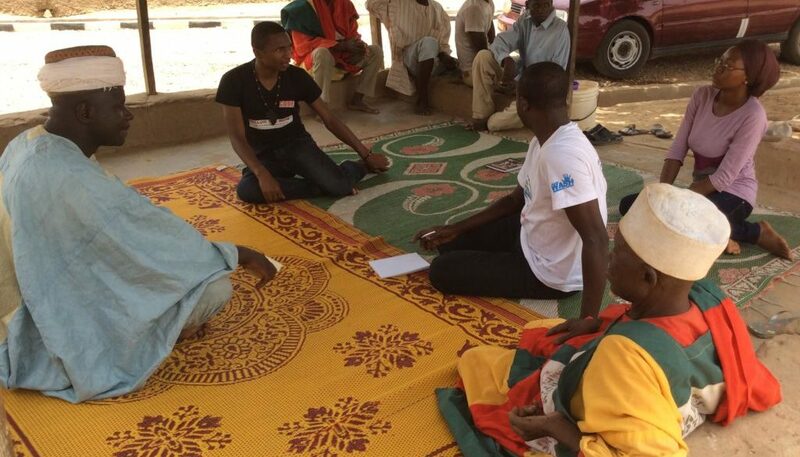 These are the kind of conversations that go on in Kagara community, with everyone looking forward to Jigida, a weekly, one – hour radio programme that allows for citizens to call – in and express their community needs, which afterwards are been documented and sent to the various local government chairmen, and State House of Representative for response and decisions to be made. That’s not all, the first 30 mins of the programme is dedicated to the Councillor of the community sharing with the community, how much and what they will be spending on in the week. This is what proactive vigilance is all about! Although proactive vigilance or public participation in budgeting or government spending is relatively new, the evidence attesting to its impact on resource allocation and service delivery is growing. Many of the existing findings are based on the well-known Brazilian experience with participatory budgeting, established first in Porte Alegre in 1989, and now replicated in over 40 countries around the world. Nigeria, is not left out as well, as its government hopes to encourage citizen participation, with its recent commitment to joining the Open Government Partnership, a multilateral initiative that aims to secure concrete commitments from governments to promote transparency, empower citizens, fight corruption, and harness new technologies to strengthen governance. You might be wondering, how many – landlord associations,vigilante groups, market women associations, community development associations, we have in rural communities. A lot of them! When are we going to start having “project vigilante” in rural communities, that will become voices of several communities, because by the time you wake up tomorrow morning, the news will be agog with “one billion dollars to be released to provide water in Kagara” only to go to Kagara after one year, you will find out that Kagara has no water source or a broken water source. Quite pathetic, and that’s is the way we are – the leaders and followers. There is the local government or state government budget, a document that highlights government spending and revenue which can be for a financial year, or a multiyear. At every stage of the budget, citizens can make noise about their plight, and join in the conversation. They can form themselves as vigilante group or association, and always knock on the door of their local government officer or Councillor. Government at the local government and state government level should starting providing platforms as well, for the assesement stage. E.g. using local radio programmes like Jigida, create a referendum mechanism for your local government area for people to have their say on projects proposed for next financial year. It should not be only during elections, that citizens see chairmen of local government or governors of states canvassing for votes. Like I always say, the budget is not only the means by which government declare their spending, in fact 50% – 60% of what’s on it might not be relevant. The other way is to always listen to the state news on your local radio, projects will be announced at all times, especially when they are project funded by other partners, such as the federal government or international donor agencies. Ijiwere and Giringori have decided to do away with social gatherings, and focus on becoming a vigilante for community projects in Jigida, and if you are reading this, you should be towing same way, and you should share this piece. I look forward to the final drama series on this – If you have listened to Story Story, Voices from the Market program, then you should be more expectant. See you all in Kagara town, listening to Jigida on radio! Say No To Street Begging : Education is Key	CODE :The Future We See through Follow The Money Newsroom.